Made these for dinner (per hubby’s request). They are delicious! 1. 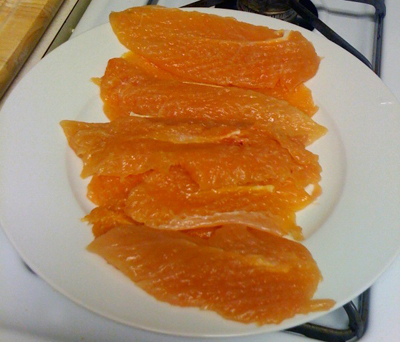 Put chicken tenders on the cutting board, lay plastic wrap over it (to prevent splattering) tenderize the pieces with a meat tenderizer. 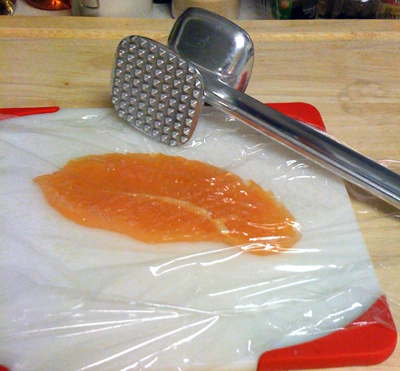 If no tenderizer, use a heavy bottomed skillet. Beat the pieces until thin. 2. After all the chicken has been tenderized, season with salt and pepper. 3. Make a dredging station. Beat eggs in a bowl. Spoon the flour into a shallow pan or on a paper towel (less clean up). 4. Preheat skillet on a medium heat and add oil. 5. Dredge each piece of chicken in flour, then egg, then back in flour and again in egg. 6. 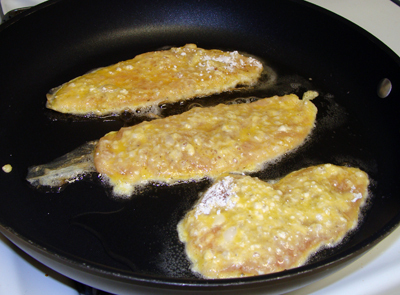 Put into the skillet and fry 3-4 minutes on each side, or until golden brown. Serve with mashed potatoes or pasta. Thank you for the recipe . I will try it ! it was excellent, thank you very much! Mine too, and it’s so easy to make. 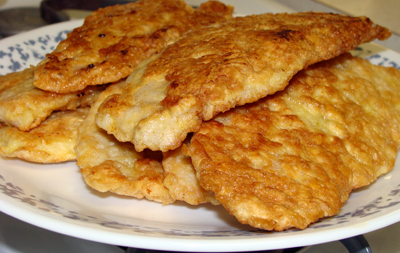 I love to serve these with some mashed potatoes and a cucumber/tomato salad – a traditional Russian dinner! How many pounds of chicken?